Mr. Rowse’s Boston Building Materials Cooperative helped residents keep their homes and preserve their neighborhoods. When John Rowse founded the Boston Building Materials Cooperative 40 years ago, he had goals beyond launching a nonprofit. “We’re all in it for the fun and working with people,” he told the Globe a few years into the initiative, which was launched in the South End and grew into something much more expansive — a way to help residents keep their homes and preserve their neighborhoods. While previously working on government-funded projects to rehabilitate older homes for low- and moderate-income families, Mr. Rowse had realized he could help more people by creating a place where homeowners and would-be homebuyers could purchase quality building materials at low prices, and seek advice on how to improve their houses. Mr. Rowse’s zeal for teaching people how to build and repair everything from houses to boats took him into urban neighborhoods, the city’s schools, and onto Boston Harbor’s waves. He was 74 when he died of cancer March 29 in his Jamaica Plain home. Trained in architecture and design, he brought his own passions into elementary school classrooms and wanted other teachers to do so, too. Along with founding Boston Building Materials Cooperative, he cofounded the Reuse Center in 1993. The two now operate together under the name Boston Building Resources, which called Mr. Rowse “a genuine visionary” in an online tribute. 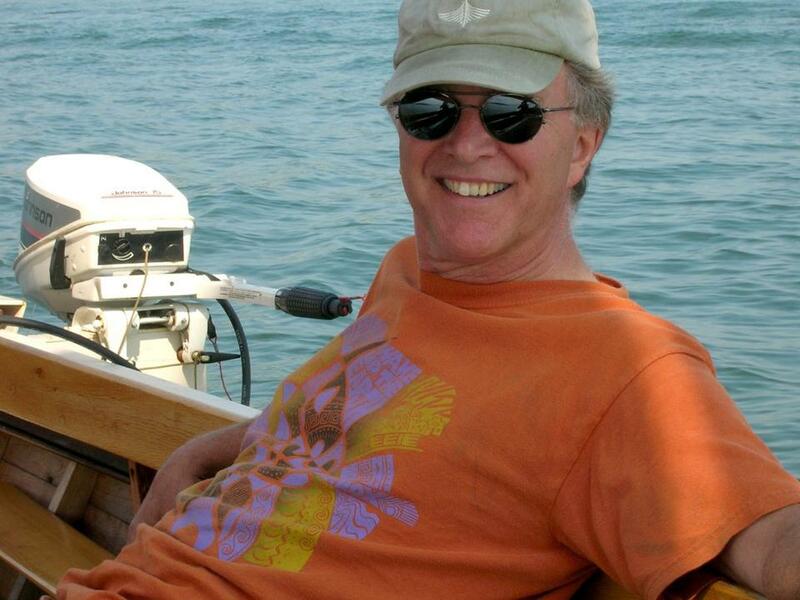 In 2007, he founded Community Boat Building, which gives pupils in the Boston Public Schools opportunities to work on boats and learn maritime history. And at the end of his life, Mr. Rowse helped launch the Passion to Teach fellowship to help city schoolteachers bring their out-of-school talents into their classrooms. “He had a genius for engaging, respecting, and empowering people, especially kids, wherever he went,” said his son Ben Naimark-Rowse during a celebration of Mr. Rowse’s life held on Boston’s waterfront in June. Mr. Rowse did that at work, in other countries, and in the Jamaica Plain home he bought and restored with his wife, Susan Naimark, in 1977, two years before they married. The two “welcomed people into our house from all walks of life,” she said. The guests — some who stayed a few days, some much longer — included “a Salvadoran family fleeing death squads and death threats,” Ben recalled in interviews. Other longtime visitors were Boston Medical Center students from a minority recruitment program and friends of Mr. Rowse’s children. John Richard Rowse grew up in Littleton, a son of James A. Rowse, who was an executive in the family’s Veryfine juice business, and the former Anna Barnes. The third of five children, Mr. Rowse graduated from Lawrence Academy in Groton and went to Syracuse University, from which he received bachelor’s degrees in architecture and business. Moving to Boston, he worked as an architect and developed affordable housing before founding the Boston Building Materials Cooperative. “Our reason for being is not strictly for selling materials,” Mr. Rowse recalled in a 1994 Globe interview. Mr. Rowse also did graduate work in education at Wheelock College, though he left before finishing a degree, and taught in Boston’s elementary schools. In addition to his wife and son, Mr. Rowse leaves a daughter from an earlier marriage, Kristin of Portland, Maine; another son, Jesse Naimark-Rowse of Southsea, England; two brothers, James Jr. of Monroe, Ga., and Sam of New London, N.H.; a sister, Edith Fallon of Peterborough, N.H.; and a grandchild. “His life just seemed to have been all about solving problems,” Jesse recalled at the celebration of Mr. Rowse’s life, which was held on what would have been his 75th birthday. And when it became clear that cancer would end his life, Mr. Rowse accepted the news “without so much as a shred of anger or bitterness,” Ben said.